Expecting mothers deserve good skin care too! Pregnancy is not just about watching what you eat and put in your body, but what goes on your skin as well. Harmful ingredients can still be absorbed through the skin and you don’t want to risk your baby’s health! 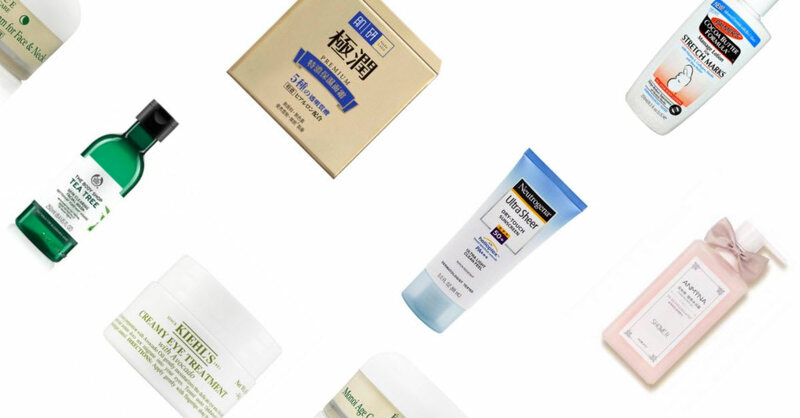 Here are some of our favourite pregnancy-safe skincare products to make this journey a little easier for you. Having a baby is a blessing, but one of the downsides is when stretch marks start to appear to give room for the baby’s growth. When the skin stretches too much it can start to itch or hurt, which is why applying a lotion is important. Formulated with Bio C-Elaste™, pure cocoa, shea butter and Vitamin E, Palmer’s Cocoa Butter lotion will relieve dryness and itchiness that comes with stretch marks. This lotion can be used all over the body and might reduce the likelihood of developing stretch marks when used daily. Complete with five types of hyaluronic acid, this Hada Labo cream keeps your face hydrated for smoother and more supple skin. This cream is rich in texture, but absorbs quickly into the skin to provide long-lasting moisture. To apply, just massage it gently and pat for better absorption! Protect yourself from harmful UV rays with this SPF 50 Neutrogena sunscreen. This sunscreen is free from PABA (Para-Aminobenzoic acid), which can sometimes cause allergic reactions. Additionally, it won’t clog your pores or leave a sticky feeling this sunscreen is oil-free and non-comedogenic. It’s not easy being pregnant – you feel tired and sore at the end of the day. Treat yourself and wind down with this shower gel by ANMYNA. The formula is delicate, but effectively cleanses away dirt and oil from the skin. This mild recipe is suitable for pregnant women, you’ll feel refreshed with the floral aroma of this shower gel after every bath! Due to hormonal changes, pregnant women tend to experience breakouts more regularly. Not to fret, this the Body Shop tea tree facial wash is here to the rescue! Tea tree oil removes impurities and oil without drying out the skin, resulting in clearer skin when used every day. Kiehl’s Creamy Eye Treatment with Avocado is a lifesaver for those with tired eyes. The avocado oil helps restore moisture to your skin while the shea butter protects the skin from dehydration. The unique texture of this eye cream prevents it from migrating into your eyes after application. Organic products are typically better for the skin as they do not contain harmful chemicals or ingredients. This organic night cream from Eminence contains ingredients such as argan oil, jojoba oil, and shea butter to hydrate the skin. Enriched with Monoi, it nourishes and firms your skin – experience rejuvenated skin when you wake up. All I need are cats and dogs.